Traverses terrain in Kaibab N.F. north of the Grand Canyon. Trail descends from Highway 67, just north of the Grand Canyon National Park, to Buffalo Ranch Road. From here, you can head north and connect to Highway 89A. 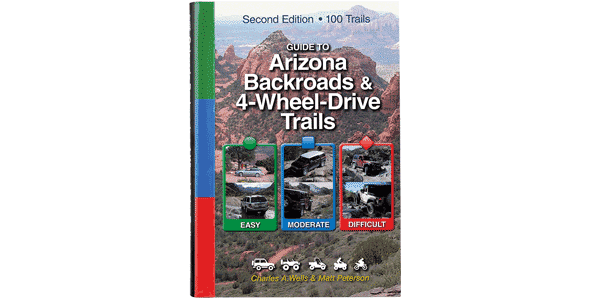 It’s a great way to avoid many miles of paved road if your final destination is Page or Flagstaff. This area is also popular for unlicensed vehicles because of abundant dispersed camping and many side roads to explore. Plan trip in the fall if you wish to see the aspens changing color. Mostly hard-packed dirt with occasional embedded rock. Trail gets rougher after Waypoint 03, but in dry conditions, is doable in most stock sport utility vehicles.